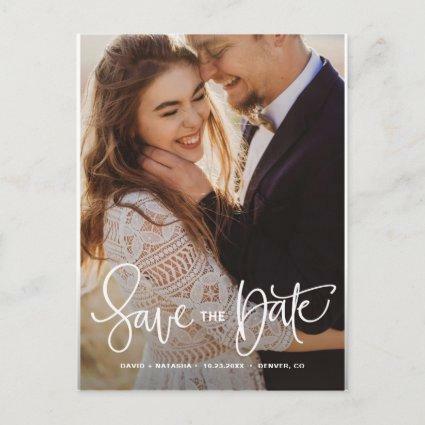 Stylish and elegant save the date photo postcard displaying your favorite engagement photo with "Save The Date" in a flowing calligraphy script font overlay. 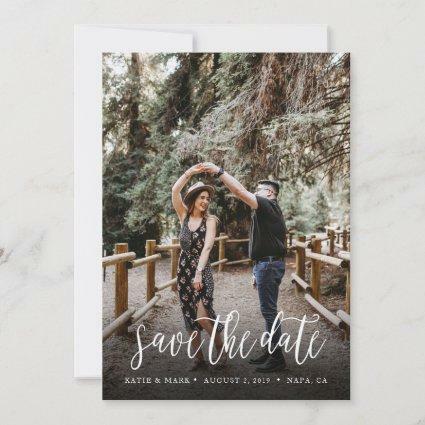 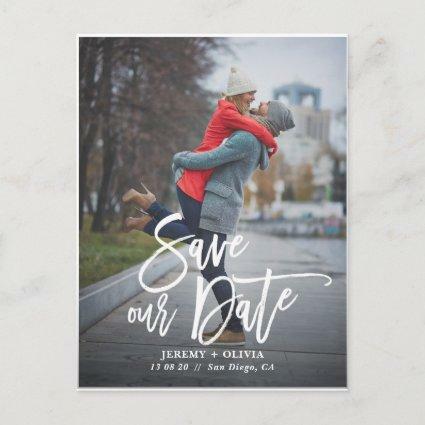 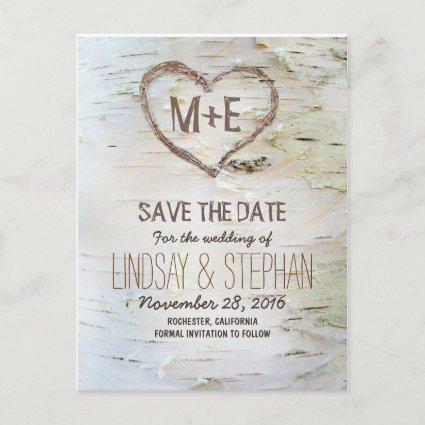 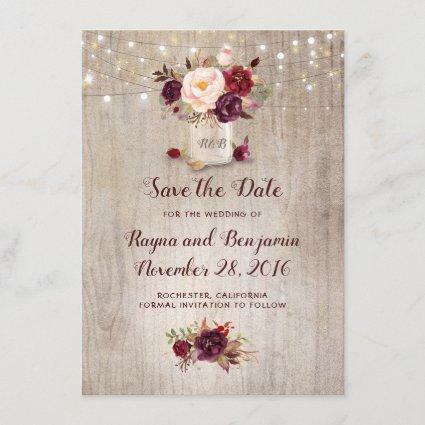 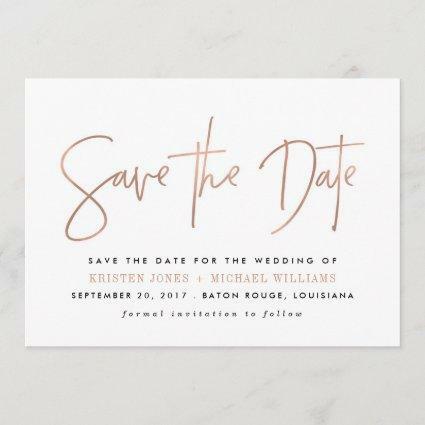 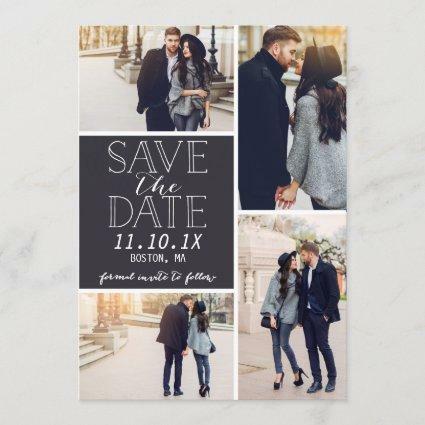 Personalize the feminine save the date announcements by adding your names, wedding date, and city/state of your wedding venue. 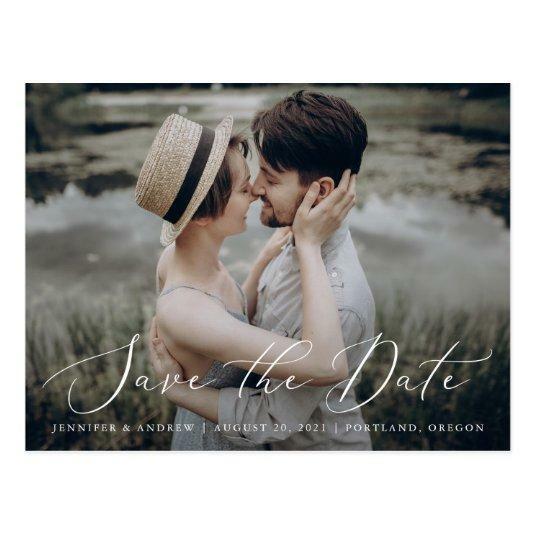 The reverse side of the postcard features space to add your return address and wedding details. 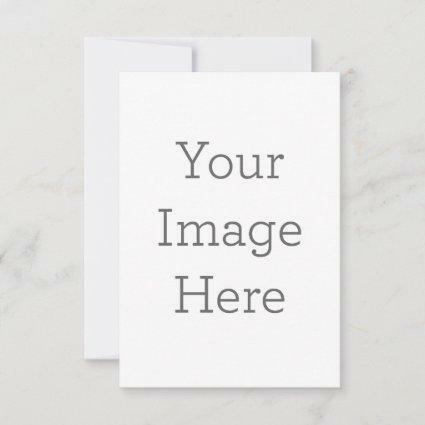 The photo used in this design is for display purposes only and is not for resale.